Todd Wolynski, Vice President of Legal and Associate General Counsel. 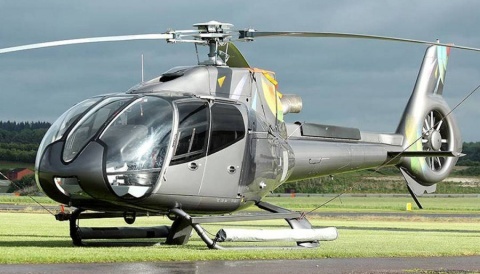 The additions of such highly experienced executives add to Waypoint’s already significant helicopter operations and leasing experience and will make a substantial impact as Waypoint seeks to grow the business and develop its platform through the execution of helicopter transactions, future financings and the addition of further employees, operations and infrastructure. Mr. Van de Vuurst and Mr. Wolynski, who both bring a wealth of aviation experience both in legal and operational capacities, will work alongside each other to manage corporate, regulatory and transactional activities. Robert D. Van de Vuurst – Mr. Van de Vuurst currently practices with the law offices of Baker, Donelson, Bearman, Caldwell & Berkowitz, PC in Johnson City, TN. Robert’s appointment as General Counsel is effective immediately. 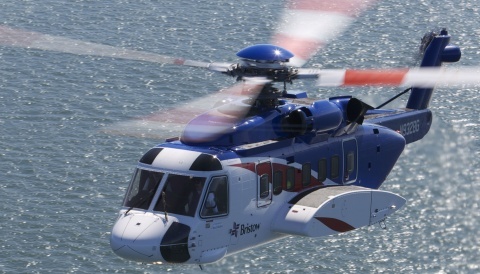 For over 25 years, he has been widely considered the helicopter industry’s “go-to lawyer” where he has overseen more than $1 billion in aircraft purchases and sales. Previously, Mr. Van de Vuurst served as General Counsel and Chief Operating Officer of Era Group Inc., and President of Era Helicopters LLC, one of the largest helicopter operators in the world. Peter Dahm – Mr. Dahm will join Waypoint to manage Strategic Customer relationships and bring his helicopter market expertise to the team beginning in October. He currently serves as the Vice President of the Helicopter Market at AVINCO, one of the leading helicopter trading companies in the world. Mr. Dahm has over 30 years of experience within the helicopter industry and has held a multitude of positions throughout his career. Previously, he was the Vice President of Commercial and Parapublic Programs in the Customer Service organization with Eurocopter, where he was in charge of program management, contracts and commercial matters. Dave Gorsky – Mr. Gorsky joined Waypoint in June of 2013 as the Vice President of Operations and Technical where he is responsible for Operations and Technical Management of the Company’s leased aircraft. 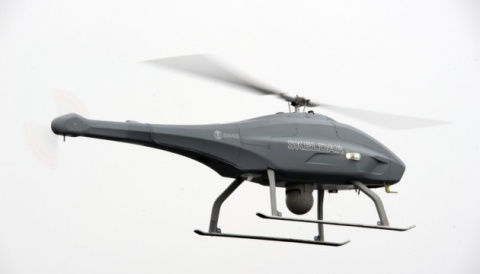 Mr. Gorsky possesses over 20 years of experience in the aviation and aerospace industry. Prior to joining Waypoint, he led Global Procurement for Era Group Inc., where he fostered the development of internal processes to support global helicopter lease contracts for approximately 45 aircraft and managed the group’s global supply chain. Mr. Gorsky also held Supply Chain, Program Management, Operations Management and Financial positions at Honeywell, Raytheon and United Technologies. Ken Dowling – Mr. Dowling joined Waypoint in May 2013 as Vice President of Financial Reporting and Business Planning. Mr. Dowling has over 15 years of experience incorporating aviation, financial reporting and business planning. Prior to joining Waypoint, he held senior finance positions at NYSE listed aircraft lessors Genesis Lease Limited and AerCap. Marc Schechter – Mr. Schechter joined Waypoint in May of 2013 as the Vice President of Risk and Analytics where he is responsible for managing the Company’s credit and transactional analysis. Prior to joining Waypoint, he was a Vice President at Era Helicopters, where he led new business development and managed joint ventures in Brazil and Australia. Todd Wolynski – Mr. Wolynski will join Waypoint as Vice President of Legal and Associate General Counsel, effective October 15th. Mr. Wolynski currently practices at White & Case LLP where he advised borrowers, lenders and export credit agencies in connection with helicopter and fixed-wing financings, asset-based structured financings and other cross-border corporate transactions. Waypoint is a global helicopter lessor providing aircraft and financing solutions to helicopter operators around the world. Headquartered in Limerick, Ireland, and with operations in Darien, CT, Waypoint partners with helicopter operators across a wide range of sectors, including oil and gas, emergency medical service, search and rescue, firefighting and governmental support. 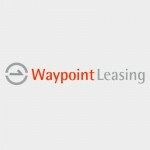 Further information is available at http://www.waypointleasing.com/.